Oral cancer is a serious dental health condition that can affect the soft tissues of the mouth, the lips, gums, roof and bottom of the mouth, and cheeks. If not diagnosed and treated promptly, it can spread quickly. Oral cancer kills 8,000 people and affects a total of 34,000 every year. A biannual dental exam, cleaning, and X-ray can play a crucial role in the early identification of this disease. Symptoms of oral cancer include unexplained bumps or sores that do not heal after a week. These sores or spots can be small, pale, or dark and can occur anywhere in the mouth but are most commonly located on the lips or tongue. Sores are often painless white or red patches. Bleeding, soreness, a change in voice, numbness, difficulty chewing or swallowing, and a change in bite can also be symptoms of oral cancer. Symptoms for oral cancer can mimic other dental diseases, so our dentist will need to perform a thorough exam in order to determine the cause of the symptoms. Oral cancer screenings are also recommended for those who smoke or drink heavily. 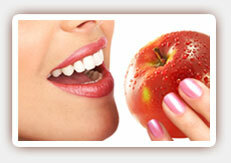 A biopsy may be performed in order for our dentist to identify the stage of oral cancer. If the cancer has spread, you may require further treatment, which can include radiation therapy, surgery, or chemotherapy. 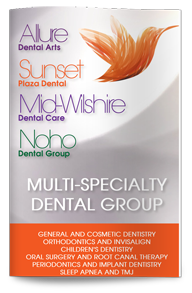 Dr. Poneh Ghasri DDS, dentist in West Hollywood, will discuss your options with you so that you can make the best choice for your unique situation.